Council also insisted on the establishment of a hybrid court comprising both Sri Lankan and foreign judges to try war crimes cases. It has also insisted on the establishment of a “hybrid court” comprising both Sri Lankan and foreign judges to try war crimes cases. The report, which was presented to the UNHRC in Geneva on Friday, however, acknowledges that there have been positive advances on human rights and constitutional reform. “The Government has advanced on constitutional reforms and showcased some positive developments on the broader human rights agenda. The fulfillment of transitional justice commitments has, however, been worryingly slow, and the structures set up and measures taken during the period under review were inadequate to ensure real progress,” the report states. It commends the constructive engagement of the Government of Sri Lanka with the UN’s human rights bodies, marking a discernible change in policy. It also recognizes some advances on constitutional reforms, on crucial issues like land restitution and symbolic gestures towards reconciliation, as well as legal reforms and the design of an Office of Missing Persons. “Unclear and often contradictory messages have been delivered on transitional justice mechanisms. Public messaging around transitional justice and reconciliation has been generally confusing and at times contradictory,” the report states. 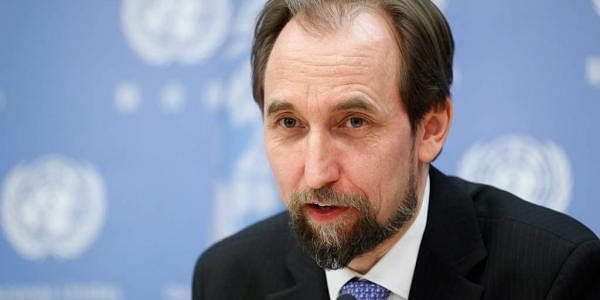 The UN High Commissioner for Human Rights Zeid Ra’ad Al Hussein noted that in many ways, Sri Lanka appears to be turning a corner on the promotion and protection of human rights, but he stressed that hard-won gains could prove illusory if they are not tethered to a comprehensive, robust strategy. “Seventeen months ago, when we published a detailed report on the grave human rights violations committed during the conflict in Sri Lanka, I urged the Government and all the people of Sri Lanka to ensure that this historic opportunity for truly fundamental change should not be squandered,” Zeid said. occupied by the military, and to adopt legislation establishing a “hybrid court,” comprising Sri Lankan and foreign judges. violations, police abuse and excessive use of force, and the use of torture.